If you’re living in Wales and you want to work in TV, this should be of interest to you. The Network is a free four day TV Training event taking place at the Edinburgh Television Festival from the 25th August. Previous speakers include Charlie Brooker, Russell Howard, Sharon Osbourne and Sir Trevor McDonald, as well as staff from Sky TV, MTV, Channel Four and ITV. To apply, you must be aged 18 or over on August 24th 2011. If you’re from Wales and you want some hints and tips on how to write the best application you can, then drop me an email. 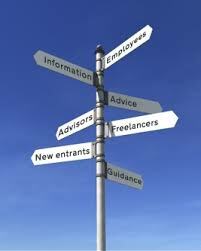 This is a great chance to learn a lot about the industry and meet a lot of people. All you would have to pay for is your travel to and from Edinburgh itself – everything else is covered as part of the event. Apply directly to The Network here, the deadline is the 15th April, so get in soon! I was in London last week, spending the week at the UK offices of Paramount Pictures, something that had been arranged for me after I went on the Marketing & Distribution course at Media Business School in Spain. I had a ton of meetings and learned a lot about theatrical distribution from the studio perspective – which really put what I learned on the course into context. I haven’t got a lot of gossip to share (and I had to sign an NDA anyway), so this isn’t going to be the place to find inside information on what’s coming up in 2010, and if you were expecting the scoop on the potential Star Trek sequel, look elsewhere. 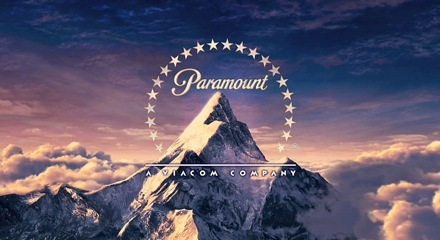 I’m very grateful to everyone at Paramount for being very generous with their time and for explaining everything in such detail, and to the Media Business School for arranging it for me. What I do with this new knowledge, I haven’t quite worked out yet. Looking over my notes from the week, I’ve realised just how much I’ve learned, and while it will obviously help me to develop as a producer, I need to see how I can put this into some sort of practice from 2010 onwards. A quick festival update – 17 will screen at next year’s Swansea Bay Film Festival, hopefully I’ll be able to make it along to see the film on a big screen. 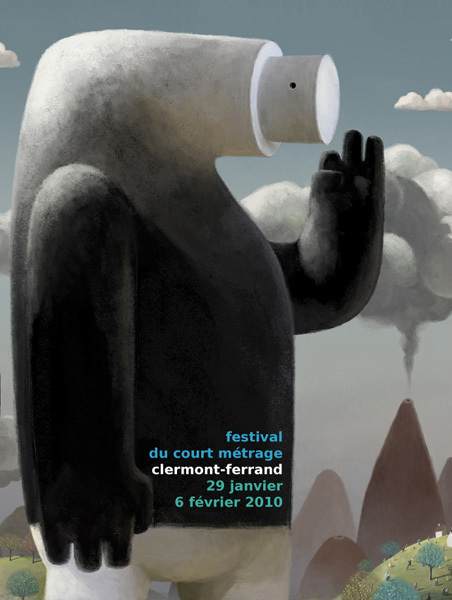 Clermont Ferrand, which I think is the world’s biggest short film festival, is now closed for entries, and you can see details of all the films submitted by looking through their web site (there’s a lot of them). They list all UK films by country, and there’s ten submissions from Wales, including Shed Convention from Big Font. Large Spacing producer Vivien and writer/director Paul. All the films submitted are available to view in the video library of the market during the festival, so even if you’re film isn’t selected for screening, someone might still see it and maybe even buy the rights. We’ve entered 17, and as this was the first festival I wanted to enter, I’m hoping we’ll be selected. I don’t think it’s really their sort of thing, but you won’t know unless you try. I went to Clermont Ferrand in 2007 – it was the first film festival that I’d been to overseas and it was a great experience. Driving to the airport in a left hand drive Opal Zafira with a brutal hangover after the last night was a particular highlight. There are more shorts there than you can shake a stick at, so it’s worth going to just for the screenings. There’s other events there that were run in the French language, so I couldn’t take part, but if you’re interested in seeing a lot of the best short films from around the world, it’s the place to be. Get a cheap flight while you can. What’s It Like Then, Spain? I’m back in Wales, having completed the Marketing & Distribution 2009 course at the Media Business School in Spain. The week was a lot like being in Cannes – early starts, late nights, a fair bit of alcohol and a lot of talk about the film business. To say I enjoyed myself would be an understatement, and in many ways I didn’t want it to end. The quality of the speakers on the course really was incredible. As well as this gentleman, there were other speakers from the studios and top indie distributors from around Europe, and marketing experts from agencies. There was also one of UCI/Odeon’s bosses and a frankly hilarious bloke from a Spanish TV station. Screen Academy Wales do a great job in putting on masterclasses with industry speakers, but this was a whole new level – not least because of the intensive nature of the sessions. Meeting the other participants was more than just a bit of networking – everyone was very friendly and a lot of fun to be with, and at times I felt like I was hanging out with old friends. It’s easy to enjoy yourself eating out in a place like this. They also have a good range of after dinner spirits to send you over the edge. Not off the balcony, thankfully. I completed the programme by making a presentation of my own marketing and distribution plan for Ang Lee’s new film. I will be keeping an eye on how it does at the UK box office, just to see if Focus Features hit the figures I projected in reality. Now I have to take my new found knowledge and apply it to my own career. Thanks again to Skillset for the funding, and to the people behind the course for making it such a great experience from start to finish. A snappy headline I’m sure you’ll agree, which sadly doesn’t reveal the entire story – there was a group of about ten of us, and I failed to make eye contact while saying thank you, so it wasn’t quite the successful event that the headline conveys. But this is a course about Marketing & Distribution, so I’m putting a positive spin on things. There are just 23 people on the course in total – Ronda in Spain is a great looking town, but we all seem to be stuck in the hotel conference room most of the time. We start at 9:30am and finish at 9pm every day, so it’s a heavy workload with a lot of information to digest. People from all over Europe are here with varying degrees of experience in the industry – producers, distributors, PR people and many more. The course leaders themselves are hugely experienced, with three of Paramount’s top men leading the sessions so far. It’s been insightful learning about international distribution, studio-style. Will attempt to coax more free alcohol from industry players in due course.